We asked a dermatologist whether it would actually work. 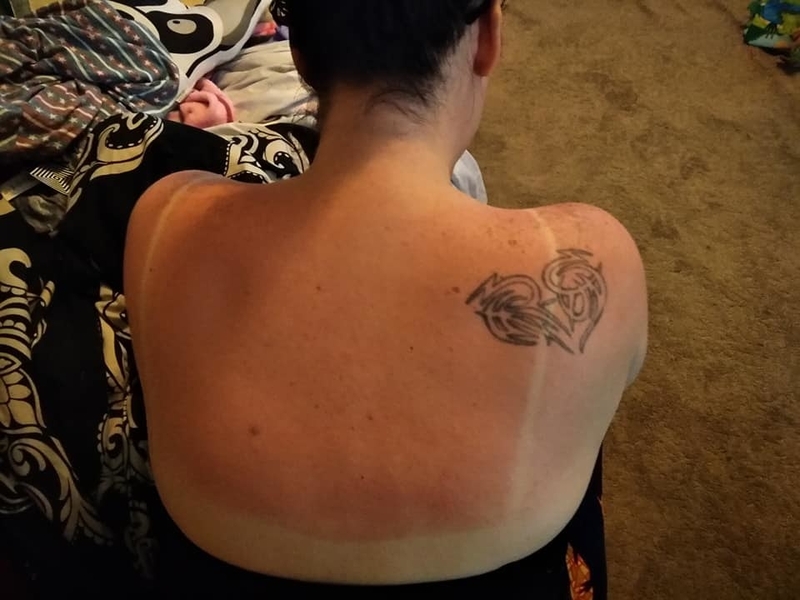 A Texas mom's rather unorthodox hack for soothing a sunburn is getting tons of attention. 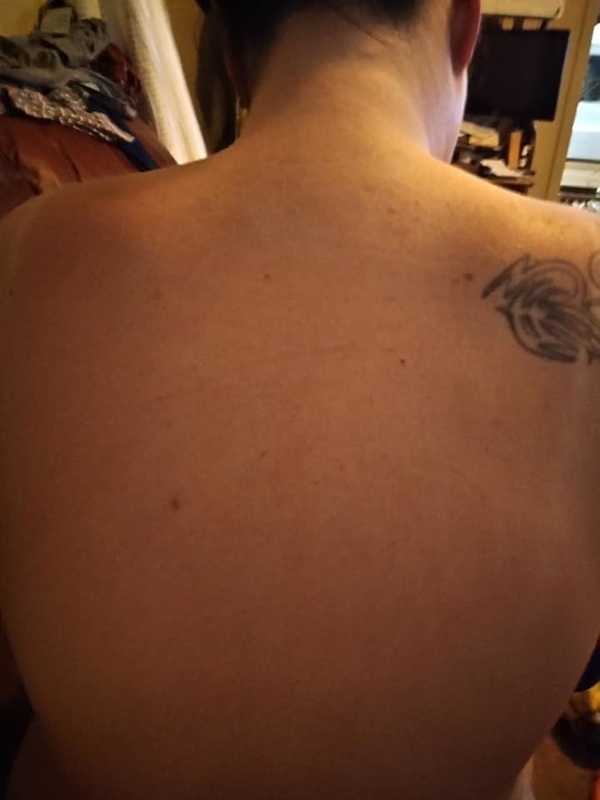 A woman's sunburned back at the beach. The secret is this stuff — menthol shaving foam. Seriously. Cindie Allen-Stewart is a mom of two in Mount Calm, Texas. The hack was passed down to her by her mother-in-law, who heard it from a doctor 40 years ago. It's pretty simple. All you do is apply a layer of the foam and leave it on for 30 minutes before rinsing it off. "Menthol cools, even if you just put it on your skin and its not burned it feels cool right away," Allen-Stewart told BuzzFeed News. "It feels comforting while it's on you." She said that if the burn still feels bad the next day to do another 30 minutes. She shared the hack in a Facebook post, initially just to let her friends know about it. The post has since gone viral, with more than 230,000 shares. She shared before and after photos, taken three days apart, showing a much less angry-looking burn. And while she swears by it, she's also not trying to pass it off as a miracle cure. "It's not 30 minutes and it’s one and done," she cautioned. But she's still a believer. "From that first treatment, you should be able to sleep better." And although it sounds strange, there's a reason it works, according to one doctor. "We actually use menthol in dermatology all the time, we use it to combat itch and sometimes pain as well," said Dr. Julia Carroll, who is a director at Compass Dermatology in Toronto and a certified dermatologist. She told BuzzFeed News that this method isn't without risks, however. Shaving cream isn't designed to stay on the skin for very long, so it could cause irritation. That being said, it's no surprise that menthol would make a burn feel better. The best option, she said, is aspirin, cool compresses, and hydrocortisone cream that can be bought at the pharmacy. The best policy, the doctor insists, is prevention. "Obviously I always warn people to not get a sunburn because it does increase the risk of skin cancer."